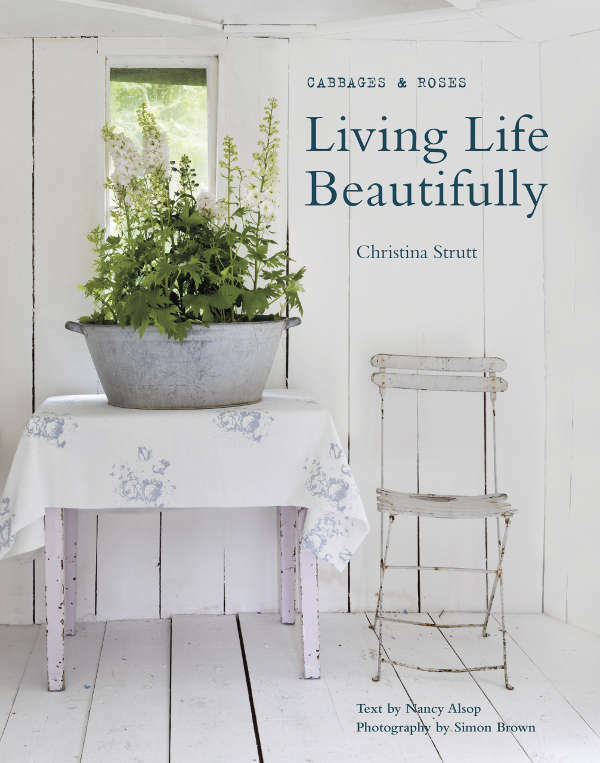 Living Life Beautifully tells the story of how Christina founded legendary fabric company Cabbages & Roses and grew it into a lifestyle brand. Christina talks about her inspirations and influences, and how she works these into her products. Specially-commissioned photography allows us a peek into her newly acquired London apartment, and we see behind the scenes at her family home in the Bath countryside. This 600-year-old cottage is the backdrop for constantly changing interiors—it is where Christina designs her fabrics, experiments with her new wallpapers, and gathers all her favorite antiques, inherited gems, and newly sourced vintage aquisitions. In addition, Christina shows us a selection of other homes and lifestyles she finds truly inspriational, including those of Brigette Buchanan, of interiors company Odd Limited, and Maureen Doherty of Egg.